Abah, J. When money finishes, people remain: The challenges of youth unemployment in Nigeria. GREAT Insights Magazine, Volume 6, Issue 1. February/March 2017. The need to tackle rising youth unemployment is clear to all. Nigeria needs to develop a coordinated, overarching youth employment policy, approved at the highest level of government, to guide all the interventions. A few days ago, Mr Bisi Ogunwale, a businessman, reported on Twitter how a young boy had begged him for money at a popular bus stop in Lagos, the bustling commercial capital of Nigeria. When he refused to give the boy any money, the boy is said to have told him: “Remember! When money finishes, it is people that remain.” Mr Ogunwale reported that the statement had had a chilling effect on him and that he was scared and sad at the same time. A short Twitter debate ensued as to the possible meaning of the statement. Some felt that it was an approximation of the quote often attributed to Jean-Jacques Rousseau, “When the people shall have nothing more to eat, they will eat the rich.” Others felt that it meant that you should be nice to the poor because if there is a breakdown of law and order, it is the poor people you have been nice to who will save you, the rich. Yet others felt that it was an admonition not to place too high a value on money, but to invest instead in people, particularly the youth. Virtually every commentator agreed that the statement was sufficiently chilling to concern every Nigerian adult. According to its National Bureau of Statistics (NBS), Nigeria has a youth labour force of 38.2 million people. For context, that is a youth workforce (between the ages of 15 and 24 years) that is more than three times the entire population of Belgium. Of this number, 48.7% or 15.2 million (much more than the entire population of Belgium) is out of work and actively seeking employment. The NBS figures include those that are unemployed and seeking work, as well as those that are under-employed. The NBS is careful not to include those that are not working and not looking for work, such as fulltime homemakers. Several reasons have been advanced for the high rate of youth unemployment in Nigeria. These include high population growth rate (understandably), deficient school curricula and poor teacher orientation, lack of focus on manufacturing as a result of overdependence on the oil sector, and flawed and inconsistent government policies on youth unemployment. These will now be discussed in turn. It is rather difficult to do anything to reduce Nigeria’s high population growth, particularly as it is tied to religious and cultural sentiments. Family planning campaigns are mostly run by foreign donors, and the cultural reliance on multiple births as a response to previously high infant mortality rates is still in the consciousness of many. There is also some evidence that a large population is not necessarily a bad thing if a country can leverage it as an advantage. Countries with large populations such as China, India, Brazil and Indonesia have made very good developmental progress in the last 50 years. The school curricula at different levels are neither sufficiently geared towards the needs of employers nor do they equip young people for self-employment. 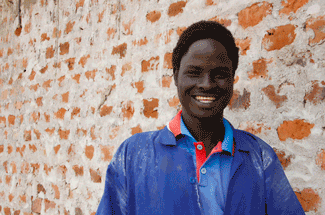 Many young people complete even tertiary education without an ability to apply that knowledge to real life situations. This has led some to conclude that a majority of the youth are ‘unemployable’. It is expected that the drop in oil prices will lead to a sharper focus on manufacturing and industrialisation, which should, in turn, create additional jobs. If it is true that “oil is over”, then there are likely to be more employment opportunities for young people in agriculture, solid minerals, telecommunications and services, as government and the private sector make efforts to diversify the economy. The Federal Government of Nigeria has recently launched a programme called Npower, which is targeted at equipping youth with the skills to make them employable. It aims to help build entrepreneurship skills, facilitate mentoring and skills transfer, and provide internships and contract employment to more than 500,000 young persons. Virtually every government in Nigeria’s history has created one programme or another in an attempt to tackle youth unemployment. The schemes tend to raise hopes and do indeed benefit some young persons while they last. However, policy inconsistencies mean that successive administrations abandon the initiatives of their predecessors and create new initiatives, often justifying their actions with allegations of corruption against their predecessors and accusations of nepotism in the selection of beneficiaries. This means that it would be difficult to point to a consistent, sustained youth empowerment initiative that can be tracked over time and assessed for impact. It is also difficult to point to a coordinated youth employment agenda that is shared, understood and subscribed to by all relevant government actors. Different parts of government have different initiatives and ambitions for youth empowerment. The Office of the Vice-president, the Ministry of Youth and Sports, the Ministry of Women’s Affairs and Social Development, the Ministry of Labour and Productivity and the National Directorate of Employment, among others, all have initiatives and schemes focused on youth unemployment. What is lacking is a coordinated, overarching youth employment policy, approved at the highest level of government, that guides all the interventions. Such a policy will foster coordinated strategies which should, in turn, produce sensible activities and initiatives in a measurable way across the whole result chain: input-output-outcome-impact. The Bureau of Public Service Reforms, which I currently lead, will shortly be developing a policy paper titled “Understanding Youth Unemployment”. The paper will evaluate the effectiveness of current and previous efforts, including the major issue of coordination and an overarching policy and strategy, and propose ways forward. 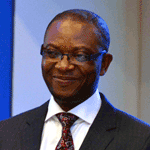 Dr Joe Abah is the Director-General of the Bureau of Public Service Reforms in the Presidency, Nigeria, and a Visiting Lecturer at the Maastricht Graduate School of Governance, Maastricht University, The Netherlands. Photo: Street in Lagos Centre. Credits: Zouzou Wizman via Flickr.com.